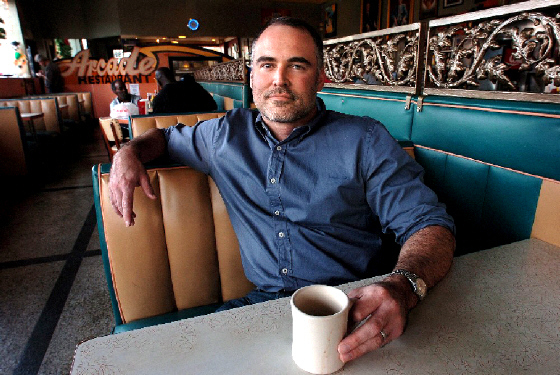 The guys are up first, with Ace Atkins and Jesse Kellerman as the first two writers under for consideration for the Mystery Writers of America Edgar Allan Poe Award for Best Novel. As promised, I am reading, reviewing and ranking the nominees. 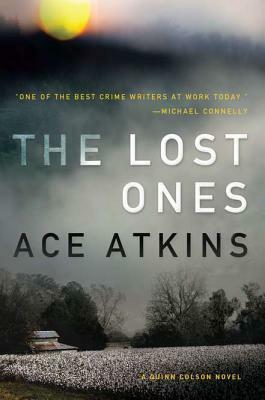 The first book in Atkins’ Quinn Colson series was a finalist for the Edgar for Best Novel last year, ultimately losing out to Mo Hayder’s Gone. In my review of The Ranger, I liked the voice of the novel, the characterization, and found the plot suitably twisty, and it ended up #2 in my list. This year’s finalist, The Lost Ones, has the same positive attributes of The Ranger. The plot revolves around gun-running, with Quinn’s high school buddy Donny Varner up to his neck, and possibly over his head, in the business. He comes by it naturally – after a stint in the armed forces, Donny came back to town and opened a shooting range and gunshop (although the guns in question are Army issue and plenty illegal). A side plot has Quinn and his kickass lady deputy Lillie Virgil investigating a foster-care scheme that’s really a baby-selling ring. Of course, the two plots intersect. While the book’s not a compulsive page-turner, it’s pretty engaging and I loved the ending. Let’s just say true love blossoms in some unexpected places and Donny turns out to be not such a blackguard after all. Jesse Kellerman also comes by his accolades naturally; although he probably doesn’t love to think that writing mysteries is in his DNA, his parents are Jonathan and Faye Kellerman, each of whom have penned many a best seller. In fact, Père Kellerman won the Edgar for Best First Novel back in 1986 with When the Bough Breaks. 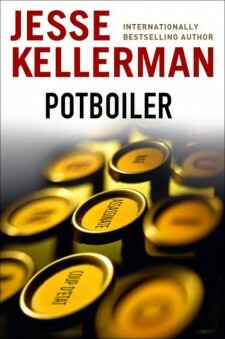 Jesse Kellerman’s Potboiler is a particularly charming book, especially for writers. 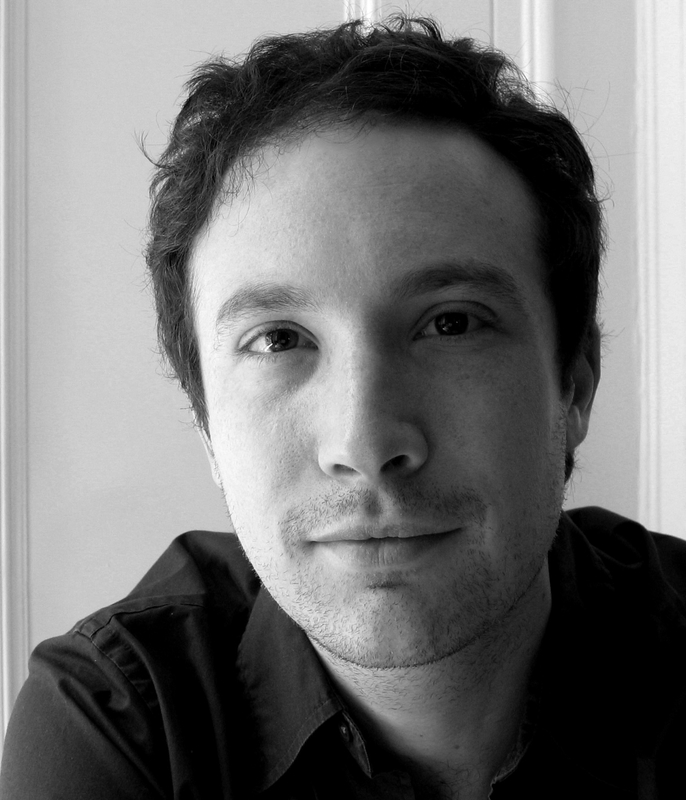 Protagonist Arthur Pfefferkorn was a literary wunderkind… now he has written the first 20 pages of his second novel dozens, if not hundreds of times. Back in high school, Arthur was editor-in-chief of the high school paper; his best friend Bill was business manager. In college, Arthur was once again editor-in-chief, Bill served as his ad manager. That’s why it was particularly tough for Arthur when Bill not only became an internationally acclaimed thriller writer, but married Carlotta, the girl Arthur loved. Potboiler opens with the news of author William de Vallée’s disappearance and presumed death at sea, followed shortly by the funeral, where Arthur and Carlotta reconnect and Arthur discovers that even after all these years, Bill still worshipped his talent. In Bill’s office, Arthur discovers an unpublished manuscript… and of course he steals it and publishes it as his own. This leads to the discovery that the books were actually spy code and responsible for the upheaval in West Zlabia, and Arthur’s transformation into potboiler author-slash-spy. Madcap adventures follow. Bed time but must post quickly! The Edgars are out. I called it on Best Novel: Gone by Mo Hayder. Awesome. Congrats. I went back and forth on Best First Novel, and ultimately selected All Cry Chaos by Leonard Rosen. The actual winner was my #2 ranked book, Bent Road by Lori Roy. Congrats to her, as well! She totally deserves it and I get why the Edgar judges made the call. I am pleased with this year’s alignment, especially compared to last year, which was awesomely off-track. This novel opens in 1954, with the much-traveled Bernie in Havana. He’s not on the right side of the law, but nobody seems to be, including the gorgeous girl he’s been blackmailed into taking with him on a boat to Haiti. Gorgeous Melba may be, but she also murdered a man for Castro and when they’re stopped by the U.S. Navy, its off to Guantanamo Bay for the two of them. The set-up is just an excuse to get Bernie into the hands of the Americans, who question him closely about his past as a policeman – a real cop, who solves crimes, not a fake cop who uses his badge to commit them on the behalf of Nazis – during WW2. It emerges that over the years, Bernie had twice saved the life of the man who is now a much-reviled East German security chief. The CIA would love to get their hands on Erich Mielke. Here’s a sample of the book: It was easy to forget that we were in Germany. There was a U.S. flag in the main hall and the kitchens — which were seemingly always in action — served plain home-cooking on the understanding that home was six thousand kilometers to the west. Most of the voices we heard were american, too: loud, manly voices that told you to do something or not to do something – in English. And we did it quickly, too, or we received a prod from a nightstick or a kick up the backside. Nobody complained. Nobody would have listened, except perhaps Father Morgenweiss. The novel is in first person, and everything we see is through Bernie’s eyes. The plot is terrifically wide-ranging and has the knotty twists of a John LeCarre spy thriller. It’s packed with action, has a love story, includes real historical figures, and addresses the key sociopolitical issues of its time, while at the same time playing in the gray area between black and white, good and evil. It’s getting great reviews. So why didn’t I like it? Why was reading it like doing homework? Disclaimer: I’m not a good historian. The time frame – the 30s to the 50s – is not a time I lived through and while I adored Schindler’s List, the thrill of a story that was set everywhere from Cuba to New York to France to Germany to Russia is not very thrilling, in and of itself. 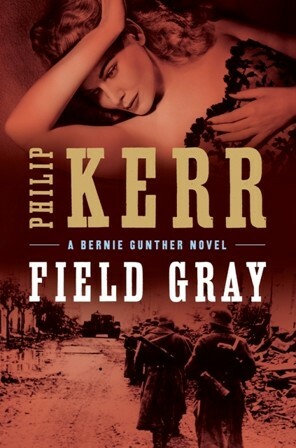 Field Gray is dense, very talky, and I found myself wondering as I read it just what the mystery was. I certainly wasn’t in suspense, because I knew darn well Bernie was not going to get killed and other than that, I didn’t care about anybody else in the book. For the quality of the writing and in recognition that Field Gray is just not my cup of tea and so perhaps I am judging too harshly, I put it above 1222, but below The Devotion of Suspect X. Come April, we’ll see. Edgar nominee Gone – the one to beat? 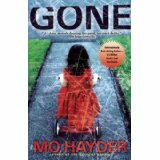 Faithful readers will know I flipped over Mo Hayder‘s crime novel, Gone, last year. Enthusiasm galore documented here. Explored the backlist, with subsequent thoughtful gushing here. So it was with great delight that I saw it was on the nomination list for the Edgar Allan Poe Award for Best Novel. And as I have been reading the other nominees, in the back of my mind has been the nagging thought that I might be predisposed to rank Gonehighest just because I “discovered” it. This led to a great deal of reflection on the options – do I read it last so the other novels have a fair shot? Do I read it first and get it over with? Read it somewhere in the middle? In the middle it is. And I have to say, rereading it was a pleasure. The second time around with any mystery, the pressure’s off. You know how the plot will turn out, so the page-turning is not quite so frantic. You can enjoy the turn of the phrase, the character interaction, the turning points in a way that you never can the first time around. Which of course, leads me to posit that I need to re-read all the other nominated books to make an even playing field. Bah, enough. I won’t rehash my previous review, except to say that Gone is well-written. The characters of Flea Marley and Jack Caffery are so real they jump off the page. The twists and turns are smart and you don’t feel like a dummy for not guessing the bad guy, because nobody else does either. So how does Gone stack up against the other nominees? I read a lot and a read a lot about reading. Newspapers, magazines, blogs, events: it’s all a giant funnel of info. Still, you can’t read everything (or even remember everything you read!). That’s why it was great to see that today’s Chicago Tribune includes a wrap-up by literary mavens Julia Keller and Elizabeth Taylor of the year’s “best reads.” Twenty books – fiction, nonfiction, and even one graphic novel – to move the top of my reading list. Not quite 20, though. 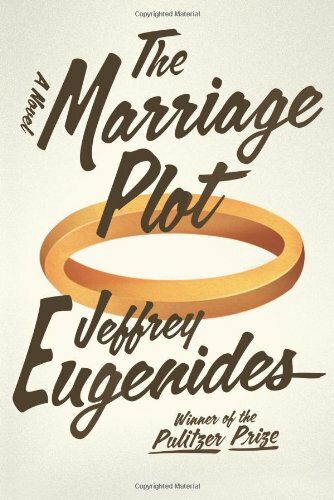 I had already added Jeffrey Eugenides’ novel The Marriage Plot to my list. In fact, my husband is reading it now and I am anxiously pacing to get my mitts on it. And I had already read, loved, and blogged here about Mo Hayder’s Gone. So count my enthusiastic thumbs up on this novel, as another endorsement. Both Keller and Taylor selected Hemingway’s Boat by Paul Hedrickson for inclusion on their “recommended” lists, so although it’s nonfiction and I’m more of a fiction gal, I’ll probably head in that direction soon. And Keller’s pick of A Death in Summer by Benjamin Black – and her description of it as a “gloomy and hypnotic mystery” is intriguing. I read another Black book in 2010 and found it confusing at the end – you can read that blog post here – so a recommendation by Keller is encouraging me to try again. Check out the full listing in the Tribune (go ahead! Buy a copy if you don’t get it delivered!) or click here to see the article online. For those of you who are still floundering for Christmas gifts, it’s way better than wandering, unmoored and confused, through Barnes and Noble. You might recall that earlier this year I discovered Mo Hayder – you can read that post here. I was blown away. So I went to the OPPL (Oak Park Public Library) and took out everything I could and devoured them. I didn’t blog as I went, I read and then drafted up a bunch of posts. Which I never posted. So not to leave Mo hanging (as if! ), I’m going to wrap it up today with a single post in hopes this will encourage you to discover this author if you haven’t already done so. I couldn’t rustle up her first book (Birdman), so I started with The Treatment. This is the second Jack Caffery book – and a compelling mystery in the series it is. Jack’s squad is called in when a couple are discovered bound and tortured in their home, and their eight-year -old son is missing. As the investigation progresses, the revelations just keep coming, and the darkest secret comes to light at the book’s conclusion. I don’t want to reveal too much, but think about parental dedication in terms of an even-more-awful form of Sophie’s choice – what terrible things would you force yourself to do to your child, if that were the only thing that would keep him alive? And what would you not do, even if that would result in his death? As we saw in Gone, Hayder does a wonderful job at switching perspectives to build tension and reveal information. The grittier aspects of the book, which may turn off some readers, are presented in a way which evokes empathy for the characters and does not minimize the emotional impact. The Devil of Nanking is a stand-alone novel featuring a young British woman, Grey, in Tokyo. She’s come to find, if she can, a film of the notorious Nanking Massacre in 1937. A professor at the University of Tokyo can help her, but extracts an exchange: Grey must get close to an elderly gangster and discover the secret he is keeping, thought to be the key to longevity. The old man is in a wheelchair and is guarded by a terrifying nurse. Violence, heartbreak and secrets abound… you don’t know everything you think you know, and people are more terrifying than you imagine. The Devil in Nanking is a good, unusual read. What would you do if a con man bilked your mom out of thousands of dollars, promising her a cure, keeping her from seeking treatment… and then she died? If you’re Joe Oakes, you become a reporter, and write an expose under an assumed name. Pig Island protagonist Joe Oakes, investigative reporter and professional debunker, takes on the job of getting to the bottom of a video that purports to show a semi-human (half human, half devil?) creature on the island, home to an insular community founded by Pastor Malachi Dove. Coincidentally (or is it?). he is the man who caused the death of Oakes’ mother. Add in Joe’s jealous wife, general skull-duggery, a massacre, and an Dove’s damaged daughter, and you have a have a plot twist you’ll never see coming. The Ritual is the third book in the Jack Caffery/Flea Marley series of police procedurals, and it’s another strong appearance. It has the by-now well-known benefits of Mo Hayder authorship: strong characters, skillful handling of multiple points of view, a personal connection to the investigating protagonists, suspense that ratchets up with regularity (in lockstep with how much you care about the person in danger) and a twisty end that doesn’t cheat. As always, there are characters who are not what they seem. The personal connection in this book is very strong – people who care very much do things they don’t want to do, while people who you care about a lot turn out to be less deserving than you think. 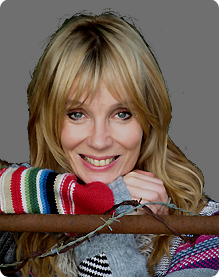 Mo’s got a new book out – Hanging Hill. That’s good news for me! I read a lot of books. 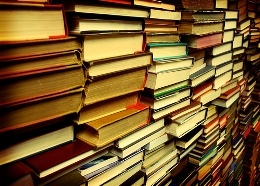 A LOT of books. And I review quite a few. But I don’t generally, go around saying things such as, “You must read this book. It is so great!” and, to my writing friends, “I learned so much about craft just by reading this book!” The book in question: Gone by Mo Hayder. Here’s the quickie plot synopsis – carjacker steals car from parking garage, and there’s an 11-year-old girl in the back seat. Detective Jack Caffery expects she’ll turn up soon, as the jacker realizes she’s there and dumps her off. The only question is how far away he’ll go before releasing her. But it doesn’t happen, and with each passing hour, the likelihood of finding Martha alive diminishes. Second plot line: Cop/colleague Flea Marley is an underwater spelunker (cave explorer). She’s a risk taker with a secret. And the way Flea feels about her secret, and what Caffery thinks he knows about her secret and the actions he takes to keep it hidden, keeps them apart. Even though the reader knows that sparks will fly if they ever get together. The way the detective work is undertaken, how the clues come out and the larger picture comes into focus, and then the absolutely stunning plot twist is revealed… absolutely masterful. For the police procedural fan, Gone is a cracking good read. Start early in the day because you won’t be able to put it down. For the writer, Gone is a lesson in how to do things right. How to develop a plot. How to reveal backstory. How to increase suspense. How to ratchet up tension, How to build believable characters the reader cares about. How to pull off a plot twist that turns on our view of a previously likable character in a way that makes the reader say “OMG,” not “What a cheat.” And lastly, how to create a conclusion that is absolutely true and touching. Mo Hayder, I salute you. The good news is that there are other books in the series. I’m there.